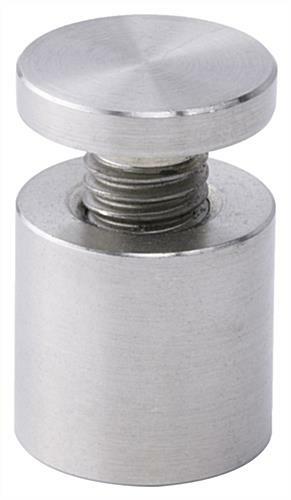 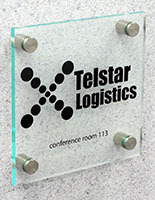 Order soon! 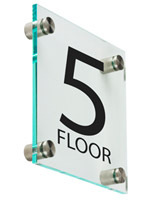 Only 10 units left. 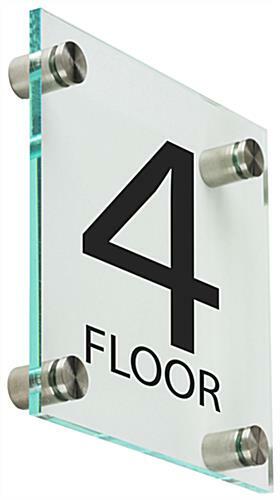 This floor 4 wall sign is preprinted with wayfinding information in bold black lettering for high visibility. 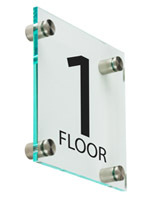 This 6" square green-edge acrylic fixture is ideal for use in commercial, professional, and corporate environments to mark landings or stair access areas. 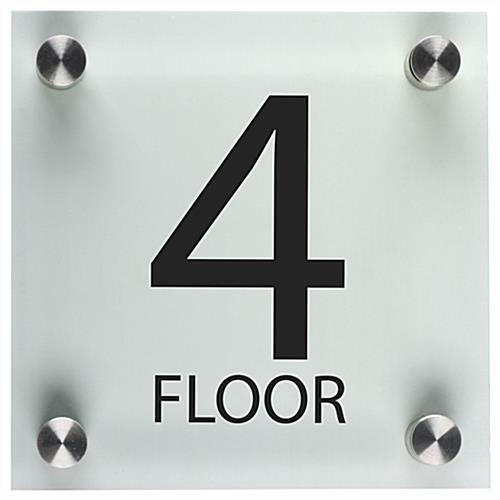 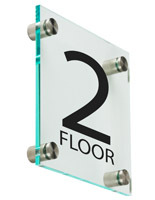 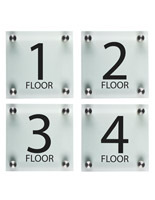 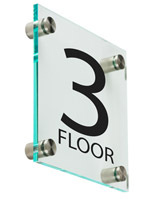 This stylish "floor 4" wall sign with black printing includes four 1" silver finish through-grip standoffs for easy mounting on vertical surfaces. 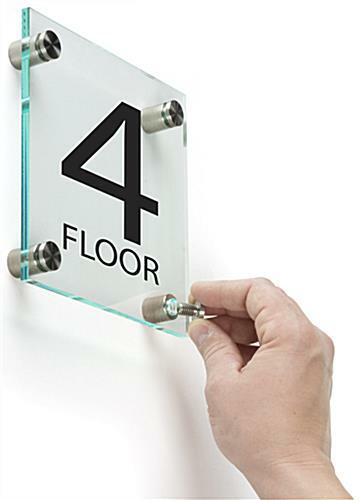 Each green-edge clear panel looks like tempered glass but is made of durable impact-resistant acrylic. 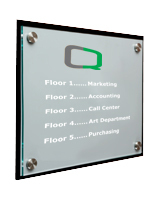 This economy wayfinding wall sign for landings, stair access areas, and hallways is a perfect way to help orient visitors and customers in high traffic commercial buildings. 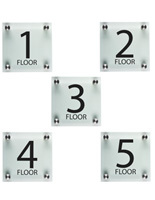 The simple wall-mounting wayfinding display's minimal design gives any area a contemporary look while complementing any decor.